Our most popular polyaspartic system with superior durability and chemical resistance is our “Full Fleck Vinyl System”. 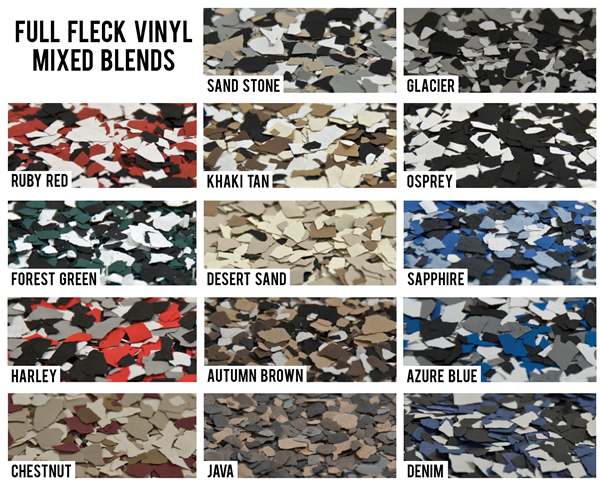 The Full Fleck Vinyl System offers over 100 color blends to choose from. This system is great for multiple applications. A full fleck vinyl mixed blends is nearly twice as thick as an epoxy floor coating. It is more durable and less likely to scratch.